Today, I am taking you to Latin America to discover the origin of Peruvian ceviche, a raw fish dish that is now celebrated around the world. I was raised in France where eating carpaccio, whether beef or fish, is rather common. However, I was not exposed to other ways to prepare raw fish until I was in my twenties. This is when I discovered sushi, sashimi, gravlax as well as ceviche. Ceviche is a raw fish dish that is prepared with very fresh fish, that is cured in citrus juices. In Peru, it is prepared with aji or other hot peppers, and is complemented with additional seasonings that may include red onion, cilantro, garlic and salt. Peruvian ceviche (ceviche peruano) is traditionally served with sweet potato, thick slices of corn on the cob on a bed of lettuce, and can sometimes be accompanied with plantains or avocado. The juice of the marinade is called leche de tigre (tiger’s milk) or leche de pantera. 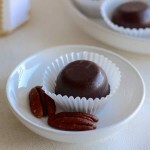 It is considered an aphrodisiac delicacy. 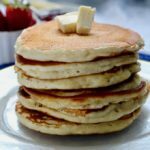 It is totally acceptable to raise your plate with your hands and put it in your mouth to drink this liquid delicacy. And just like pickle juice is used in martinis in the United States, leche de tigre can be mixed with vodka or Pisco for a typical cocktail. What is the origin of ceviche? 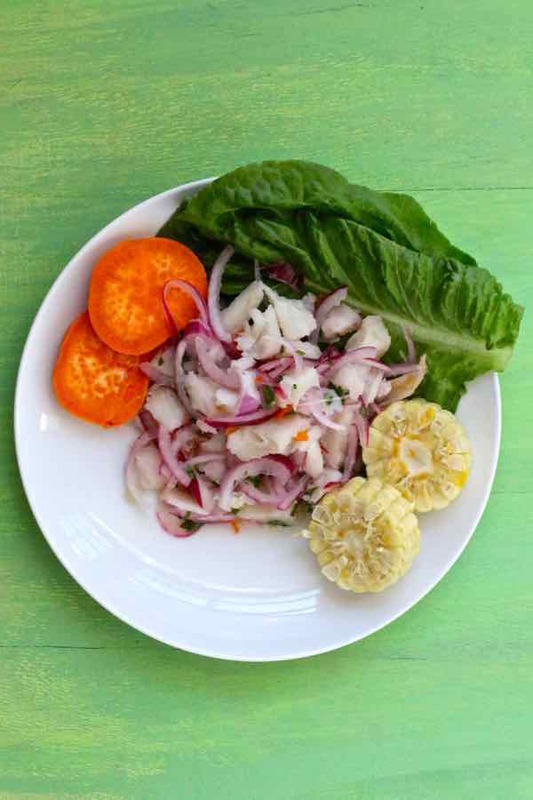 Ceviche first appeared 2000 years ago as this recipe as already prepared by the Moche, a Northern Peruvian civilization who used the fermented juice of banana passionfruit to cure the fish. Later, the Incas marinated the fish in chicha, a fermented drink typically made with corn. Raw fish was also prepared with salt and aji before the Spanish brought citrus to Latin America. The modern version of ceviche was actually brought to Peru by Moorish women from Granada (south of Spain) who arrived with Spanish conquistadors. 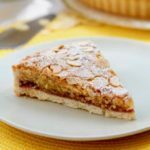 The Moor-influenced cooks introduced a dish called sei-vech, that was prepared with fish or meat marinated in the juice of Ceuta lemons, which they brought from North Africa and started planting in the New World. 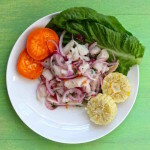 Ceviche spread through the other territories of the Viceroyalty of Peru, which included most of the Spanish-ruled America between the sixteenth and eighteenth centuries, which explains why ceviche now has a multitude of regional variants in Peru, Ecuador, Colombia, Chile, Honduras, El Salvador, Belize, Guatemala, the United States, Mexico, Panama as well as throughout the Caribbean. It is also popular under different names throughout the South Pacific. In the Philippines, a version of the ceviche known as kinilaw (or kilawin) is prepared with calamansi, a local citrus. 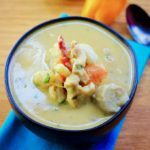 In Fiji, kokoda is prepared with coconut milk in addition to the more common ceviche ingredients. 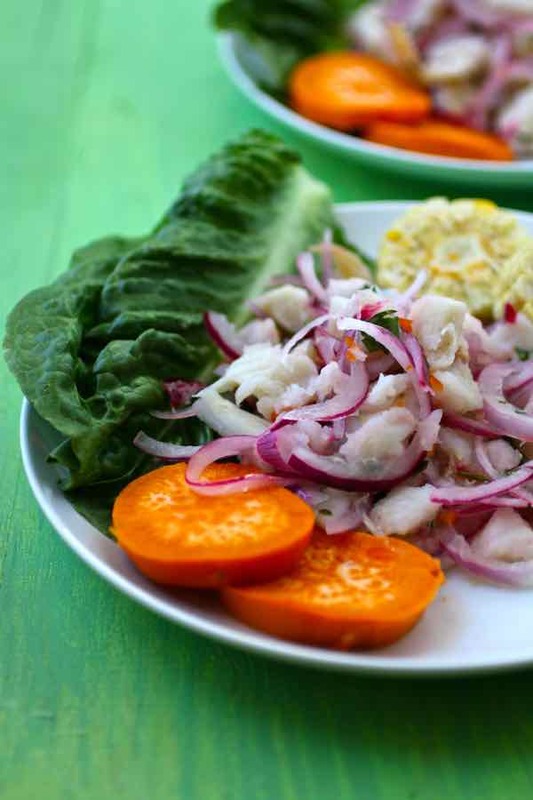 In Peru, traditional ceviche is prepared with corvina or cebo (sea bass), but it is also often prepared with sole, cod or halibut, a fish which is popular in Chile. In Ecuador, people add tomato sauce to shrimp ceviche for a tangy taste. In Mexico and some regions of Central America, ceviche is often served on top of tostadas. Popular seafood include shrimp, octopus, squid, tuna, and mackerel. In El Salvador and Nicaragua, the most popular recipe is ceviche de concha negra (black conch ceviche), which is also popular in Mexico under the name pata de mula (mule’s foot). 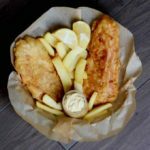 In Nicaragua and Costa Rica, people traditionally use tilapia, corvina, mahi-mahi, shark or marlin. 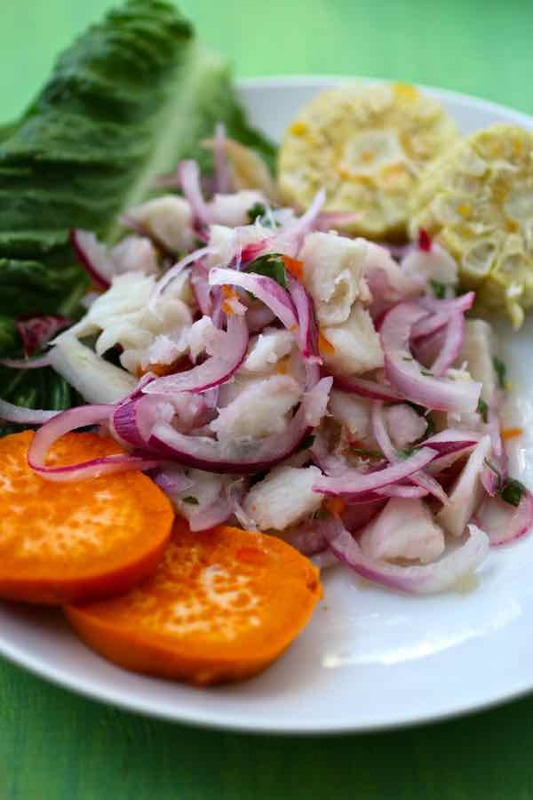 In Panama, ceviche is mostly made with sea bass, octopus, shrimp, and squid. Like Mexicans with their tostadas, Panamanians serve their ceviche with little pastry shells called canastitas. In Cuba, ceviche is prepared with mahi-mahi, as well as squid and tuna. In The Bahamas and South Florida, conch salad is the ceviche of choice. 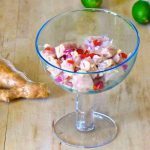 In the Northern Mariana Islands and Guam (Micronesia), kelaguen is another type of ceviche popular among the Chamorro people. Kelaguen can be prepared with fish or meat, like chicken kelaguen that we already featured. 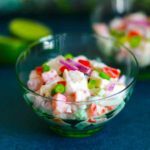 What is the origin of the word ceviche? The origin of the word ceviche is not very clear. Some think the origin of the Spanish word cebiche comes from the Latin word cibus, which translates to “food for men and animals”. 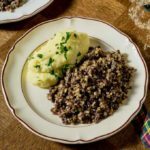 Other sources indicate it may come from the Spanish-Arabic word assukkabáǧ, which comes from the Arabic word sakbāj (سكباج) and means “meat cooked in vinegar”. It may also come from the word escabeche, Spanish for pickle. 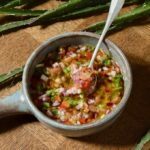 In Spanish, the dish has several regional spellings, including cebiche, ceviche, seviche, as well as less common spellings like cerbiche and serviche. In Peru, June 28th marks national ceviche day. 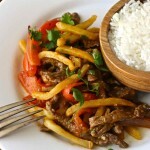 The dish has even been declared to be part of Peru’s national heritage. I prepared this ceviche for a Peruvian cooking class I gave in Santa Monica a few weeks ago. On the menu: papas a la huancaina, ceviche and suspiro limeño. And of course, we started with a Pisco sour. Ceviche is a seafood dish popular in the coastal regions of Latin America, including Peru. It is made from raw fish cured in citrus juice and hot peppers. Cut the fish into ½-inch pieces. In an earthenware or glass bowl, combine fish, chopped garlic, aji pepper, cilantro and lime juice. Season with salt. Place the sliced red onion in a bowl of cold salted water. Cook sweet potatoes in a large pot of cold salted water until they are soft, around 25 minutes. Peel them and cut 1-inch slices. Add corn to the boiling water and cook for about 8 to 10 minutes. Cut into 2-inch sections. Place lettuce leave on plate. Add corn and sweet potato on the side. Drain the fish and mix with the onions. Place fish mixture on lettuce. Add salt to taste. Peru: Ceviche I love Ceviche but have never made it. 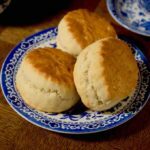 This recipe looks so delicious and authentic and easy. 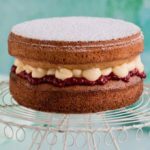 I will definitely fix this recipe this summer!